Stunning Penthouse offers sweeping PROTECTED views of the LAKE, CITY AND RIVER from every room with 11'+ floor to ceiling windows throughout. Classic elegance, over 3200 square feet with 3 bedroom suites and bonus private den off Master Suite. Living room spacious enough to accommodate grand piano, eat in kitchen with breakfast bar, formal dining area off living room. Luxurious master suite with extra large walk in closet, master bath with built in vanity area, well appointed cabinetry, custom closet buildout and exquisite lighting throughout. Parking for 3 cars included in Price! Tandem spot #128 and spot 111 on 1st level of parking next to door. Indoor rooftop pool with outdoor sundeck, hot tub, fitness room. Come see the new expanded amenities with game/billiard room, lounge, office work space and more! 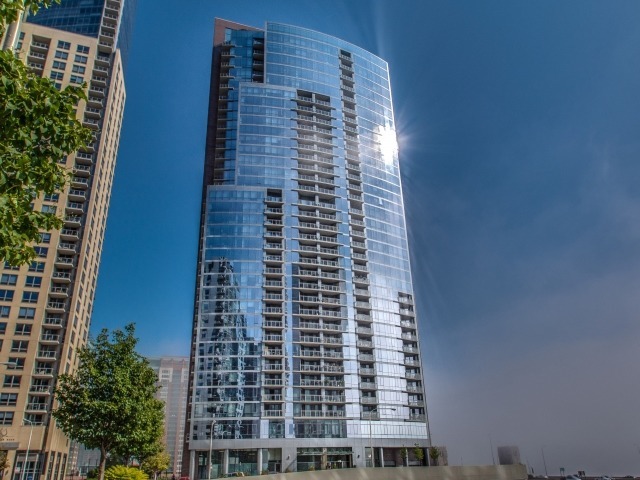 Enjoy the Lake Shore East lifestyle, steps away from the cultural mile, award winning parks, bike & lakefront trails, riverwalk, parks, loop, ped-way, theater and more! Property information last modified by seller on Tuesday, April 16, 2019, 05:13 PM CDT. Information Deemed Reliable But Not Guaranteed. Unauthorized duplication, use, or linkage is prohibited. The information on this web site is for personal, non-commercial use and may not be used for any purpose other than to identify prospective properties consumers may be interested in purchasing. Monthly Payment Calculator results are for illustrative purposes only, not a financing opportunity; calculations assume a 30-year fixed-rate mortgage and do not include closing and other costs. Property Tax on NEW properties is estimated at 1.5% of Listing Price for payment calculation purposes; actual value may be higher or lower.